Holidays are about family, tradition and…decadence! And what could be more decadent than the earthy, delicious and delightfully trendy truffle? These elusive tubers were once believed to have grown where lightning struck the earth, and today, an air of myth and mystery still surround these tasty underground beauties. 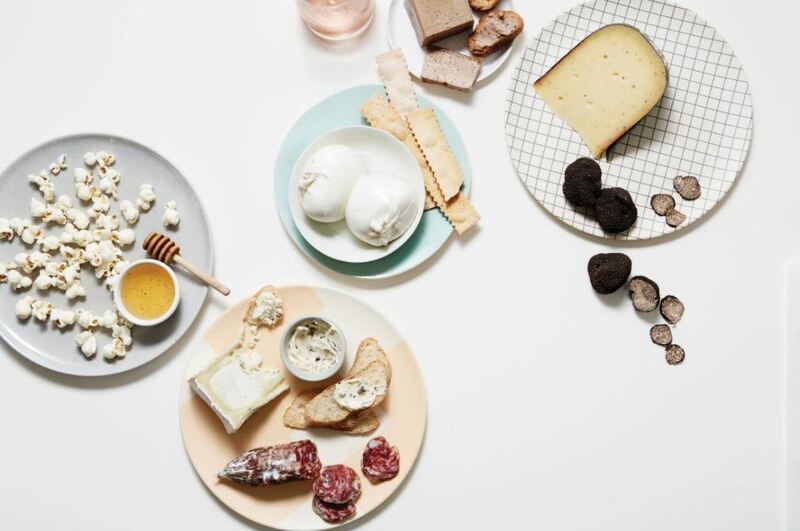 This rare nature means truffles can be quite expensive and hard to find, but we’ve figured out the perfect way to enjoy their flavor anytime: by carrying as many truffle cheeses as we can find. Here are some of our favorites, perfect for the Holidays, or as we like to call them, Truffle Season. This creamy, delicate, French cheese wants nothing more than to have everyone’s eyes on it. 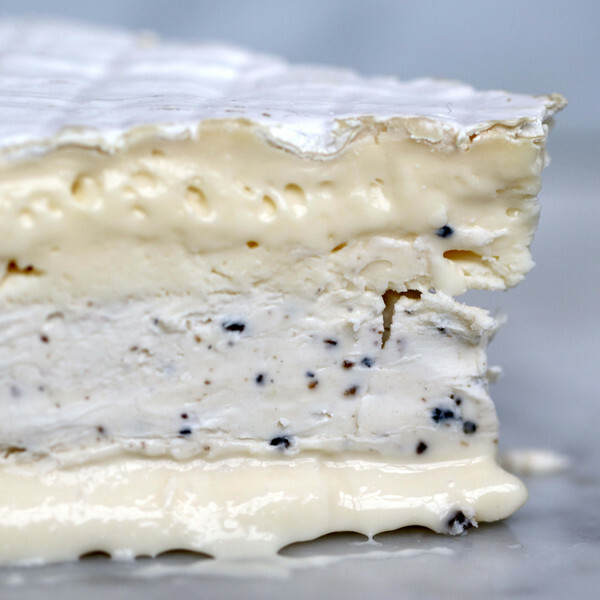 A silky wheel of brie is carefully cut in half and filled with a rich, truffle-speckled layer of mascarpone. 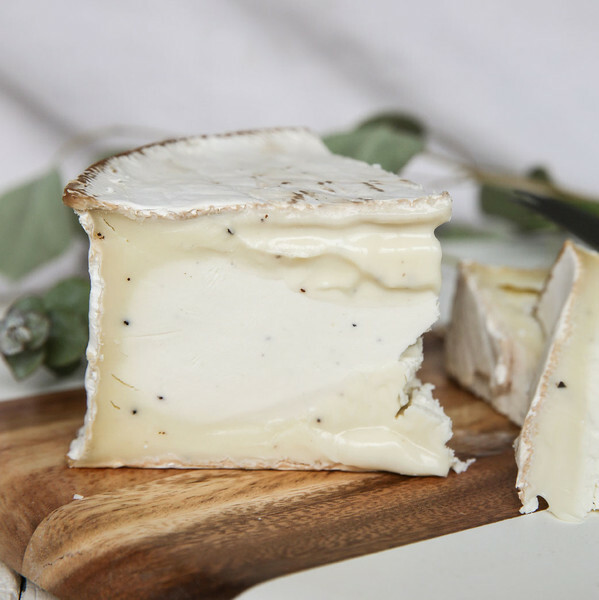 The rich umami flavor of truffle bursts through the velvety brie for a well-balanced flavor bomb sure to please even the most discerning party guest. Grab some champagne or dry cider, and you have a complete holiday starter! Almost all of us are familiar with Gouda. A ubiquitous Dutch cheese classic, it’s a nibbler’s delight. But we bet you’ve never had it quite like this. The perfect snacking cheese gets a real upgrade with the addition of mushroomy black truffle. 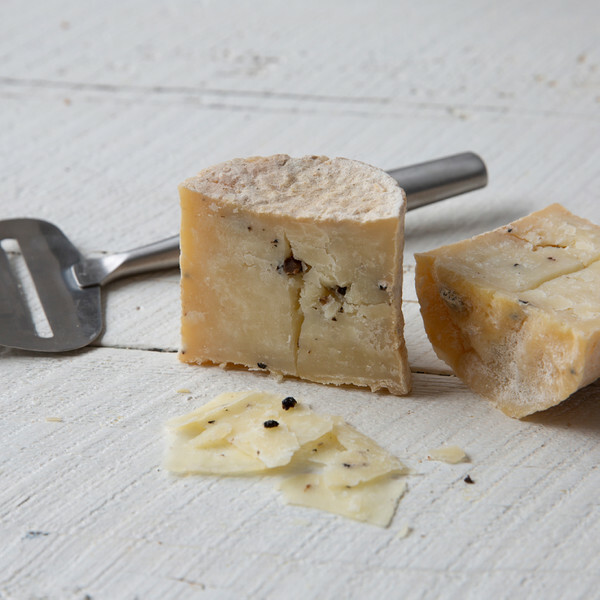 The earthy combination of Gouda and truffle makes for a perfect pairing. This bad boy can easily take center stage on any holiday cheese platter — It both delights the palate and looks beautiful on the plate! Try a little truffle honey with it to really make the flavor pop. This is Gouda, all grown up. 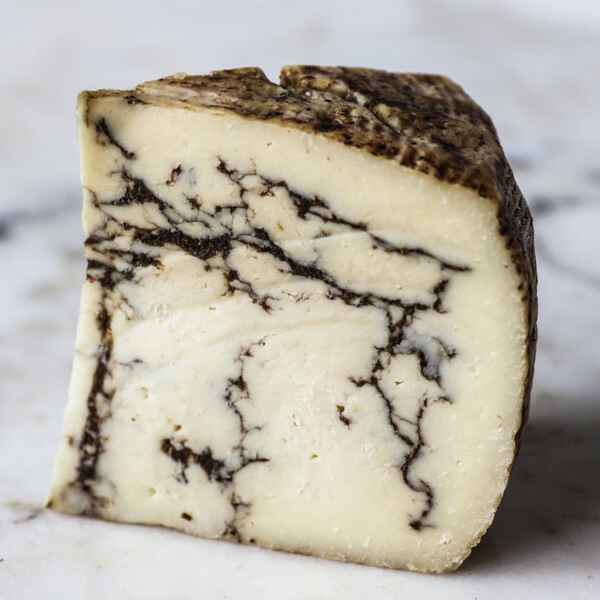 The more sophisticated big sister to our Moliterno al Tartufo, this sheepy beauty of a cheese from Sardinia is truly special. White truffles are much more rare than their black counterpart, making this an exceptionally indulgent treat. A deep, rich cheese, it has white truffles introduced four months into its aging, which means the cheese itself has some time to develop a distinct personality all its own. The slow introduction of truffle then imparts beautiful chocolate colored craggy veins, making White Truffle Moliterno as beautiful to look at as it is delicious! Try It with a bit of prosciutto for a perfect bite. What do you get when you add a handful of truffles to the classic Humboldt Fog? This gorgeous, luscious goat cheese masterpiece made in California by the legendary Cypress Grove. A delicate rind gives way to a gooey cream line, followed by a perfectly luscious paste studded with black truffle. Nothing beats the lactic tang of goat cheese punctuated by the elegant funk of truffle. Do yourself (and your guests) a favor this holiday season and grab some of this delicious stunner. Pair it with a nice, dry cider for a combo that’s sure to give you a tremor or two! Murray’s most recent addition to our truffle cheese family, this little Italian guy comes in adorable half pound wheels. Don’t let its size fool you though, this raw sheep’s milk beauty packs a huge, unique flavor. 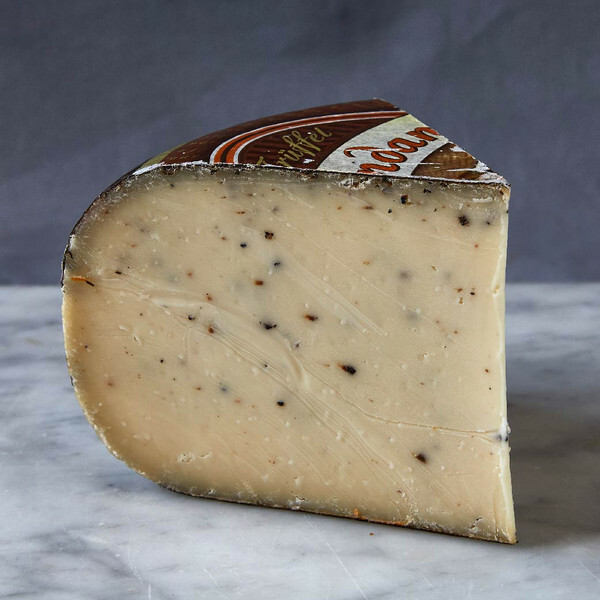 Dappled with just the right amount of black truffle, this cheese lives up to its regal name. Delicious on its own, with a slightly grassy undertone and a musky finish, it’s also a fantastic cheese to grate over fresh pasta. As it should be, coming from the land of perfect grating cheeses! Add some sparkly Lambrusco for a fabulous holiday treat. 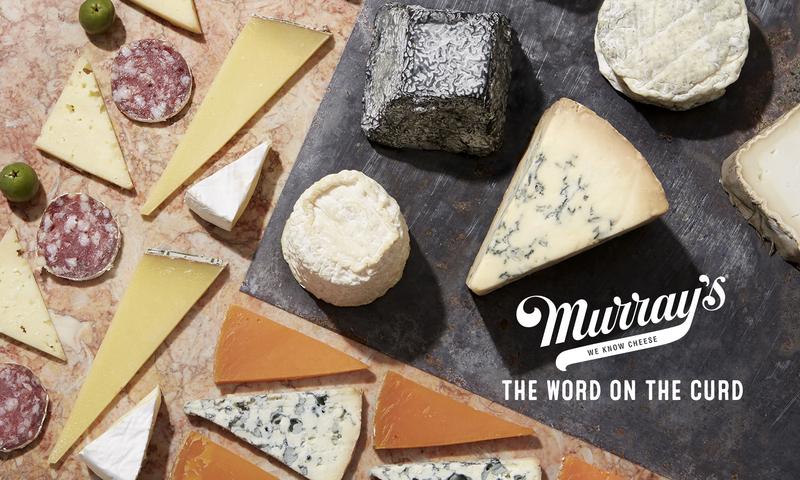 Editor’s Note: This blog post was written by Jenna Giannasio, a member of the Murray’s Wholesale and Customer Experience teams!